This weekend I make a few more Plus block for Laila's Low Volume Plus Sew Along and made a baby quilt with them. I added a 2 1/2" strip of background between each block and offset the rows. I quilted it with free hand wavy lines, used beige So Fine thread and Quilters Dream Blend batting. On Friday I received my new Blog book in the mail. I like to print my blog into book form every year using the website Blog2Print. This is my seventh book so that means I have just started my 8th year blogging! They have a sale on right now and if you use the promo code FORKEEPS before Jan 19th you'll get 30% off. But don't worry, if you sign up on their site they constantly send you promo codes, this is just the highest percentage I have seen them offer. So nice to have an in hand photo record of your blog. 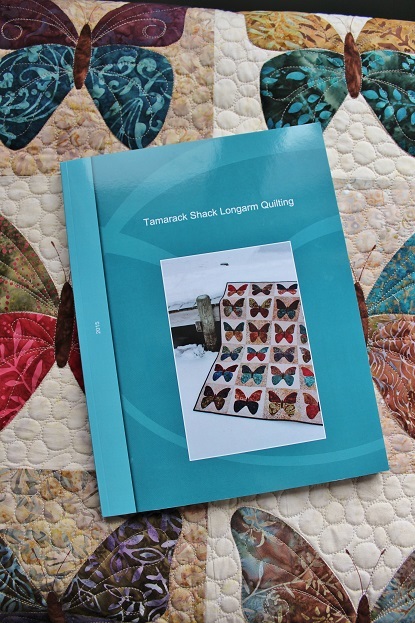 I like the quilt you picked for the cover, I just ordered the accuquilt dye for the butterfly wings. There is one in my future too. What a great idea to have your blog posts made into a book. I envy your background for the pictures, but I am glad I live in a warmer climate! I love the photography of your Plus quilt. It really goes with the quilt. I'm curious in your Blog2Print books, do you have the comments on your blogs printed up, or just the blogs themselves? Thanks, Mary. 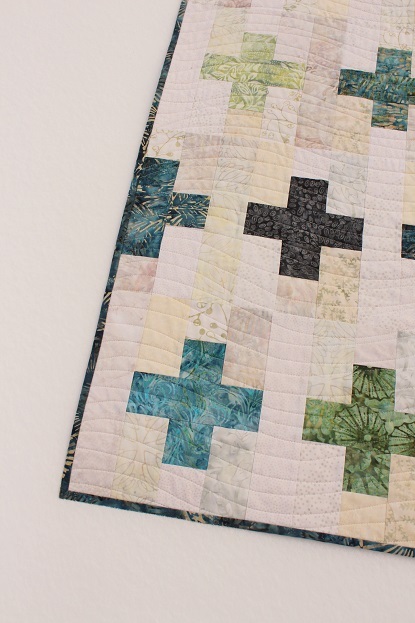 I like that you offset your plus blocks in the quilt. It turned out really nice. Having a record of your blog is a great idea. 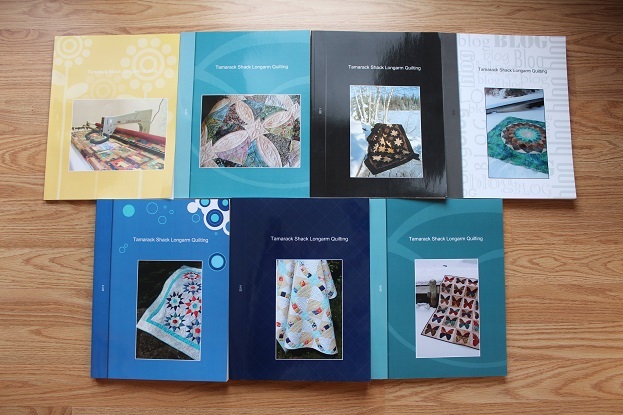 There must be a wealth of great quilt photos and inspiration in those books! 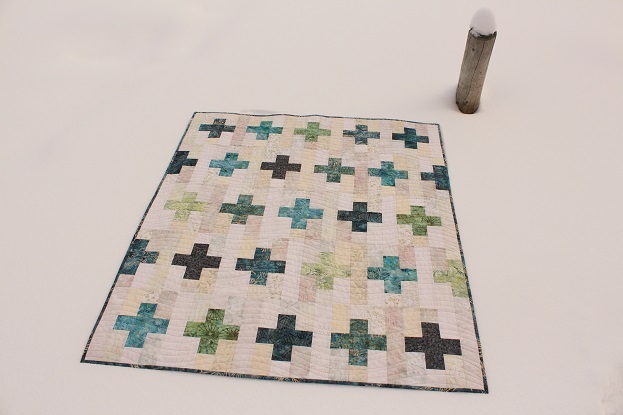 Beautiful colour scheme for the plus quilt! Very serene & cool. 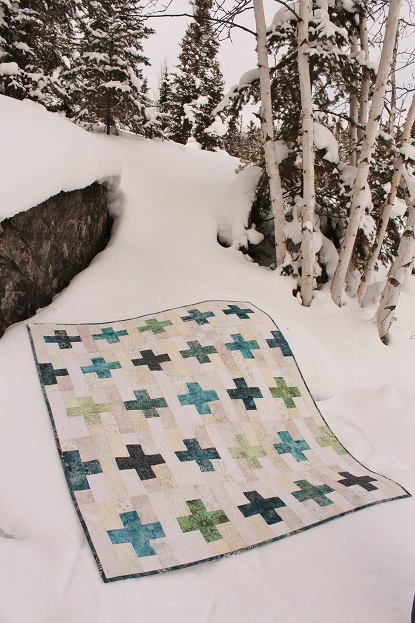 Your Plus quilt turned out so great, and it look so good in the snow! I have some issues with my smaller camera these days, so I have decided to try to use the Nikon instead, and the photos are so much better! Just need to learn a few things over again, I have forgotten so much when I haven't used it in such a long time... Wish I had a finished quilt these days, so much snow!!! I think aboug 60 centimeters the last two days! 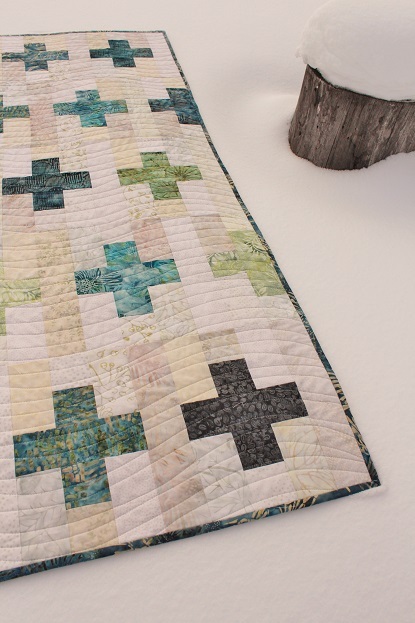 I like that you have offset the rows in the Plus quilt. I thought the 30% discount was pretty good also, and ordered my book, totally forgetting it was US dollars, and when it was converted to Aussie dollars, was a shock. 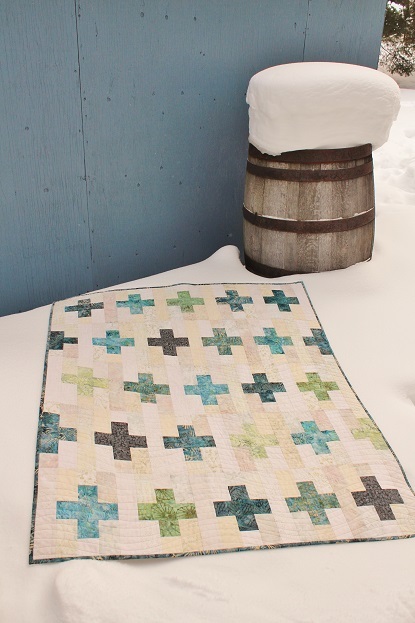 These "Plus Quilts" are popping up all over the place - so far, this one is my favourite - really like how you offset the rows. I'm going to have to do this pattern some time soon. I've been wanting to get my blog into book form. Thanks for the tip! Que bonito queda tu Puls Quilts. Es muy armonioso y el acolchado me gusta mucho. I am going to join the Plus Quilt sew along! Darling quilt & thank you for the links to the multi sizes. Also, am considering the blog print book. Have never tried it. What a good idea!